The Internet of Food & Farm 2020 (IoF2020) project investigates and fosters a large-scale implementation of Internet of Things (IoT) in the European farming and food sector. With a €30 million budget co-funded by the European Union, the project has the potential to bring a paradigm shift in this domain, by drastically improving productivity and sustainability. It will demonstrate the added value of smart webs of connected objects, that are context-sensitive and can be identified, sensed and controlled remotely in the agri-food sector. The project has started on January 1st 2017 and will run for four years. IoT has the potential to be a real game changer in agriculture. Recent initiatives showed the eagerness of the sector to seize the opportunities offered by ICT, network and data–oriented technologies. However, current available applications are still fragmentary and mainly used by a small group of early-adopters. 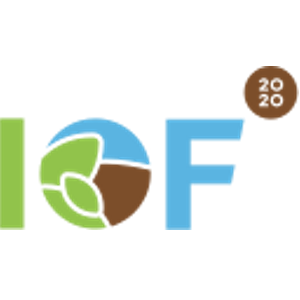 IoF2020 will provide solutions and facilitate the large-scale uptake of IoT, by addressing the organizational and technological challenges the European farming and food sector faces today. IoT can for example be used to optimise the quality of EU meat while minimising possibilities for fraud by enhancing its transparency and traceability. Another example: In total the EU wine business has the highest share of EU agriculture revenues. To keep up with international competition, for both conventional and organic viticulture, IoT technologies can be used to obtain higher quality and environmental sustainability along with decrease in production cost. Focusing on 19 use cases spread throughout Europe, the project provides solutions to 5 agri-food areas: arable farming, dairy, meat, vegetables and fruits and takes into account their own needs and obstacles. IoF2020 involves all the stakeholders in the food chain: from farmers, cooperatives, equipment and logistic suppliers, food processing companies, to consumer organizations and it includes ICT developers. The project will develop innovative IoT solutions by fostering co-creation in iterative improvement cycles focusing on user acceptability and business models to boost technology and market readiness level. End-users being at the heart of IoF2020 model, they will participate in assessing and improving the technologies at stake, ensuring they meet the requirements and the expectations of the sector. IoF2020 aspires to create an ecosystem for the long-term application of IoT technologies. Promoting stakeholder dialogue and providing timely information on progresses and achieved results lies therefore at the heart of the projects’ communication activities. To involve and inform its audience, several tools will be put in place by the consortium all along the project duration, such as quarterly newsletters, an interactive website, social media activities, info graphics, videos, regular briefings and open events. George Beers, Project Manager at the Wageningen University & Research and IoF2020 Project Coordinator: “IoF2020 does not only bring IoT in the food and farm sector, it stands also with the tremendous objective of delivering technologies that fit the needs of the entire value chain and the end-users, more particularly, and strengthen them for the challenges ahead. Together with our 70 partners we believe IoF2020 has the potential to bring a paradigm shift in the way food is produced in Europe, from the fields to the plates, and will contribute to reinforce European competitiveness and excellence in this area”.